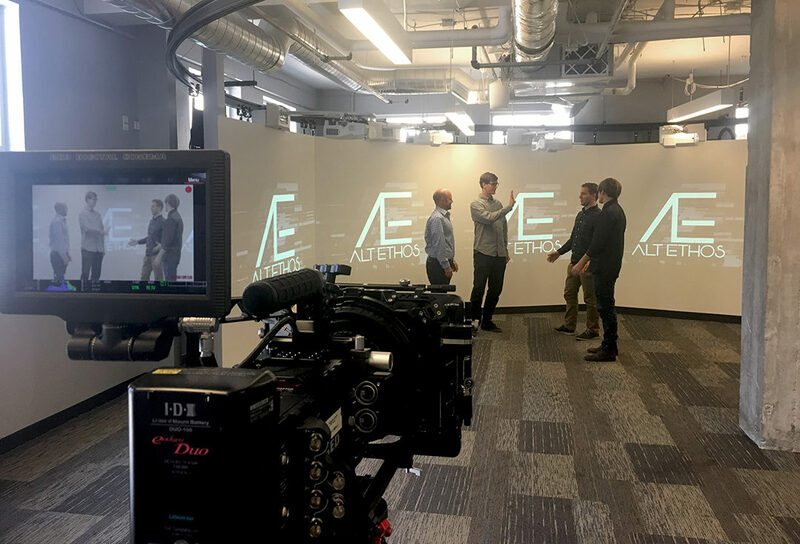 Alt Ethos: Experiential Design Studio will represent Colorado at America’s Small Business Development Center showcase to share how they meld various forms of light, sound, interactivity and creative technology into memorable interactive experiences. Alt Ethos was nominated by the Denver Metro Small Business Development Center and will represent the State of Colorado at America’s SBDC Showcase in on Capitol Hill in Washington, DC on February 13, 2018. Alt Ethos was awarded a trip to the Nation’s capital to showcase the innovation and success in the Colorado business community. This honor comes after Alt Ethos was named Denverite’s Company to Watch (2016) and selected by the SBDC’s Leading Edge™ program to compete in the Colorado Small Business Development Center’s statewide business plan competition (2017). As part of the A-SBDC’s Showcase, Alt Ethos will share their company with legislators, DBDC leaders, and other selected SBDC clients from around the country. Alt Ethos creates engaging environments for events and permanent exhibitions. They transform physical spaces into memorable experiences by combining creative technology with compelling stories. Alt Ethos helps organizations amplify brand awareness, meaningfully connect with loyal customers, and differentiate their products and services in competitive markets. The Denver Metro Small Business Development Center (SBDC) serves dedicated entrepreneurs who want to strengthen their path to success. Utilizing the powerful partnerships of the Colorado Small Business Development Center Network and the Denver Metro Chamber of Commerce, the Denver Metro SBDC has been a cornerstone of the business community for over 25 years. Alt Ethos is honored to be selected to represent Colorado at this year’s America’s Small Business Development Center Showcase on Capitol Hill in Washington DC and will use the trip as an opportunity to explore relationships throughout the nation’s capital. Join Alt Ethos on social media (Facebook, Linkedin, Instagram, Twitter) to keep up to date on the Showcase trip as well as other highlights as the company continues to grow.